Kerri-Anne Kennerley is a famous well-known Australian television personality, singer as well as the actress who is best known for TV variety show. She is one of Australia's most respected light entertainment and noted for her hosting style to handle guest and situations. By occupation, she is a Television presenter, actress, singer. Kennerley is best known for TV Show Host. 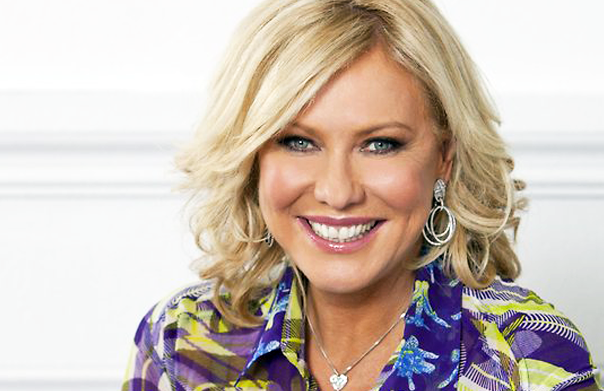 64-Years, Kerri-Anne Kennerley was born on 22nd September 1953 in Brisbane, Queensland, Australia. She was raised in Brisbane's bay-side suburb of Sandgate. She holds the nationality of Australian. She is a daughter of builder/hobby farmer. She has three siblings. Her horoscope is Virgo. Currently, her residence is in Sydney, New South Wales, Australia. Keneryley has got attractive body feature and still looks very young. She keeps her body balanced by working out. Her information on body measurement, height, weight has not revealed yet and will be updated soon. At the small age of 14 in 1967, Kennerley started her career by appearing in television on the children's shows "The Channel Niners" and "Everybody's In". Later, in the year 1980, she showed herself as a singer and released her album named "Kerri-Anne" as well as a "Christmas" album in the year 1985. She also recorded an album named "Andrew Denton's Musical Challenge" with AC/DC song "Dirty Deeds". In the year 1981, she moved back to her birth country, Australia from the US and then started her role on Australian TV series named "The Restless Years". For 11 year she also hosted breakfast TV program "Good Morning Australia" on Network Ten. Later, she appeared on TV comedy show, "Fast Forward", "Midday" from 1968-1988, "What's Cooking program" in 1999, "Greed" and "Moment of Truth" in 2001, Kerri-Anne in 2002, "Mornings" in 2011, "Dancing with the Stars" and as guest reporter on "Sunday Night" in 2012, "Behind Mansion Walls" the true crime series on 2013. Hosting duties on the show earned her three Gold Logie nominations. She has been a guest panelist on Network Ten's "The Project". She is also an advisor on the fourth season of "The Celebrity Apprentice Australia". In the year 2010, she was also caused controversy while discussing sexual assault allegations involving two Collingwood Football Club players by referring to women who socialize with footballers as "strays" and for suggesting that "responsibility cuts both ways". Kennerley received many nominations for the Australian Skeptics' annual Bent Spoon Awards due to her uncritical acceptance of psychics and psychic phenomena. She was also nominated for the Gold Logie for 3 times in 1997, 1998 and 1999 for her role as host of "Midday". She was also awarded a star on the Caloundra Walk of Stars in the year 1988, between Leo Sayer and Lucky Grills. In the year 2017, she was inducted into the Logie Hall of Fame. In the year 2018, she was honored by having her portrait on a series of Australia Post stamps, as part of the "Legends of Television" series. Kennerley is a married woman. She was married to John Kennerley in the year 1984 at the Sydney Opera House. In the year 2006, she revealed in the interview saying that, she had tried for the children and due to miscarriage 15 years ago, she will always regret not having babies. In March 2016, her husband was paralyzed after injuring his neck in a fall at Coffs Harbour. Previously she was married to Jimmy Miller and later she left the abusive marriage. The net worth and salary of Kenerley are still to get unfold. Her net worth is in millions. She is satisfied with her earning. Her net worth and salary will be updated soon. She has two step children and a pet dog named "Harvey". She revealed in the interview in "New Idea" magazine saying that she has a breast cancer. In 2013, she was elected to the board of Golf Australia.